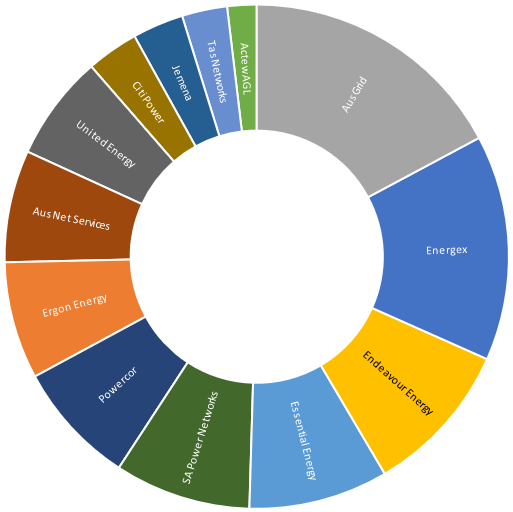 How Does the Energy Industry Work in Australia? Understanding how Australia’s energy network operates is your first step in finding out how to reduce your power bill. 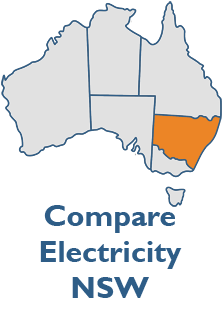 The Australian electricity market consists of energy generators, the transmission network, distributors, and electricity retailers. 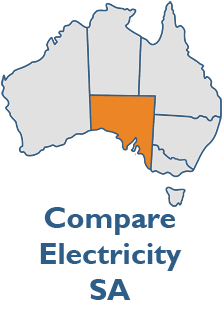 While the electricity market differs in each state and territory, the Australian Energy Regulator (AER) has overseen the wholesale electricity and gas market in Australia since 2005. 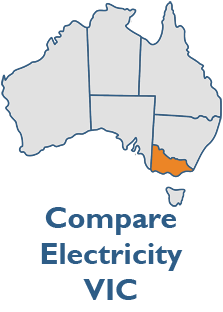 In each state and territory of Australia, electricity distributors sell wholesale power to an increasing range of retailers. These retailers then bill residential and business customers. The AER regulates each network in the National Electricity Market (NEM). 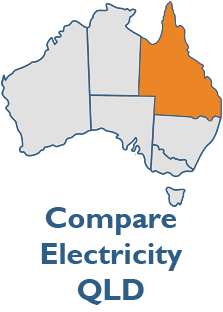 In each state, the AER monitors and regulates the wholesale prices set by each of the distributors including Energex and Ergon in Queensland, SA Power Networks in South Australia, Powercor, AusNet, United Energy, Citipower, and Jemena in Victoria, and AusGrid, Endeavour Energy, Essential Energy, and ActewAGL in New South Wales. The number of customers supplied by each of these networks varies with the largest number of energy consumers on the NSW and QLD networks managed by AusGrid, Energex, and Endeavour Energy. The AER doesn’t set the retail price of electricity, however they do regulate and approve the price that distributors can charge for supplying wholesale electricity. The actual retail price of electricity is set by individual retailers. The AER implements pricing reforms aimed at empowering consumers to create competitive retail energy markets. The AER also aims to promote efficient energy investment and to optimise the energy network. 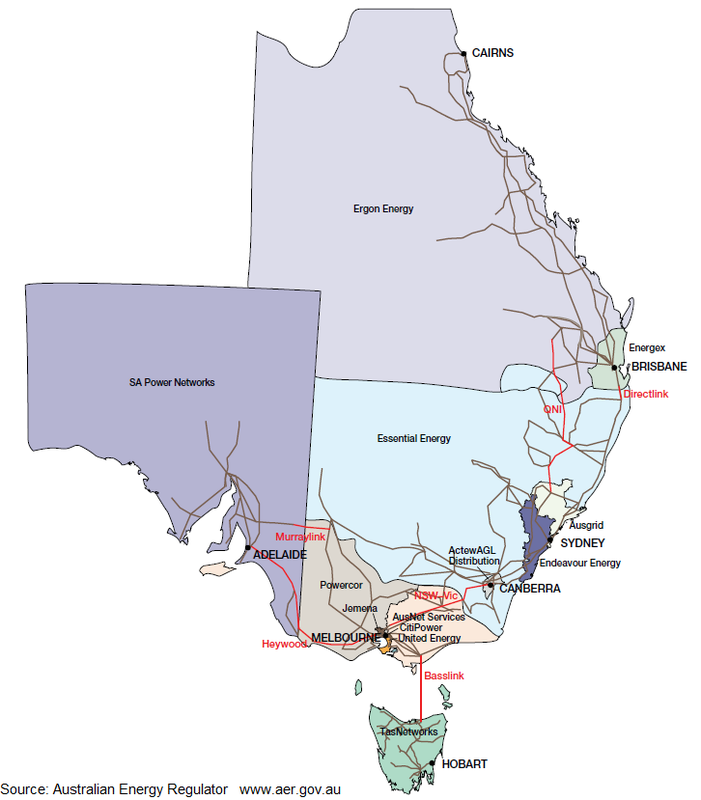 The NEM is an interconnected electricity grid that extends through Queensland, New South Wales, the ACT, Victoria, South Australia, and Tasmania. Distribution of energy is managed by five state-based networks with interconnectors operating across state borders. The total length of the NEM’s distribution network is 735,000 kilometres with over 9.8 million customers. Following the deregulation of the electricity market, millions of electricity consumers now have the opportunity to choose their retailer. Because it is the retailer who controls the final price homes and businesses pay for their electricity, it’s important to find the cheapest retailer with a flexible energy plan and great customer service. With increasing wholesale costs, it’s essential that energy consumers take advantage of retail competition and compare plans to get the best price. There’s a huge difference in price between standing offers and discounted market rates, so shopping around to get the best deal will save you hundreds on your yearly power bill. Since 2015, wholesale electricity prices in the NEM have risen on average by 130%. Closure of out-dated coal-fired plants have reduced supply resulting in increased costs. Increased network costs and essential new green initiatives have all see the price of electricity increase in Australia. The ACCC’s 2017 inquiry into the retail price of electricity paved the way for industry reforms to reduce the price of electricity to both wholesale and retail consumers. Their recommendations to federal and state governments aim to stabilise the energy industry, however experts warn that the price of electricity may continue to rise. In late October 2018, the COAG Energy Council announced further reforms to Australia’s electricity market to improve consumer confidence and reduce the price of electricity. The introduction of a publicised comparison price will soon act as a reference point for consumers to compare the cost of their electricity. Finding out how your yearly bill compares to the average electricity bill can help you to find ways to save money. Reducing your energy usage is one way to save money. But switching your energy plan and getting a better rate on your electricity usage is likely to save you hundreds of dollars. If you want to find out if you can get a cheaper price on your electricity and gas, Electricity Wizard can help. We’ll compare your current retailer with the discounted energy plans on offer in your area to help you switch and save. Choosing an electricity retailer isn’t easy. Along with finding the cheapest price, you may have a preference for a retailer who favours sustainable or renewable energy generators, your perhaps flexible payment options is a priority. There are also some things to consider that may be beyond your control as a customer, such as varying meter types and tariff codes, each of which can affect the price you pay. Electricity Wizard can take all of these various factors into consideration when finding the best electricity company for you. Am I entitled to any government rebates? Are there discounts for paying on time? Are there benefits to “dual fuel” (having both electricity and gas with one retailer)? Are there other rewards, such as loyalty programs or promotions offered? Will I get charged late fees if I miss paying a bill? Is there a contract? Are there any benefits to going with a contract? Does this company have a good track record for customer service delivery? Are their call centres located in Australia or are they located offshore? Who owns the company? Are their profits staying in the country or going overseas? By choosing the wrong retailer or settling with an assigned supplier with an expensive standing offer, it could mean you are spending hundreds of dollars more per year than necessary. At Electricity Wizard, we do all the hard work for you. When you call us, we’ll compare your rates and plans against the leading suppliers available in your area. We’ll help you select the right plan for you to help you save money. Our team is here to help you cut down costs and meet any other criteria you may have. Best of all, our service is completely free – so what do you have to lose?